You are currently browsing the daily archive for July 13, 2010. In Case I Need To Look Legitimate…Sorta. 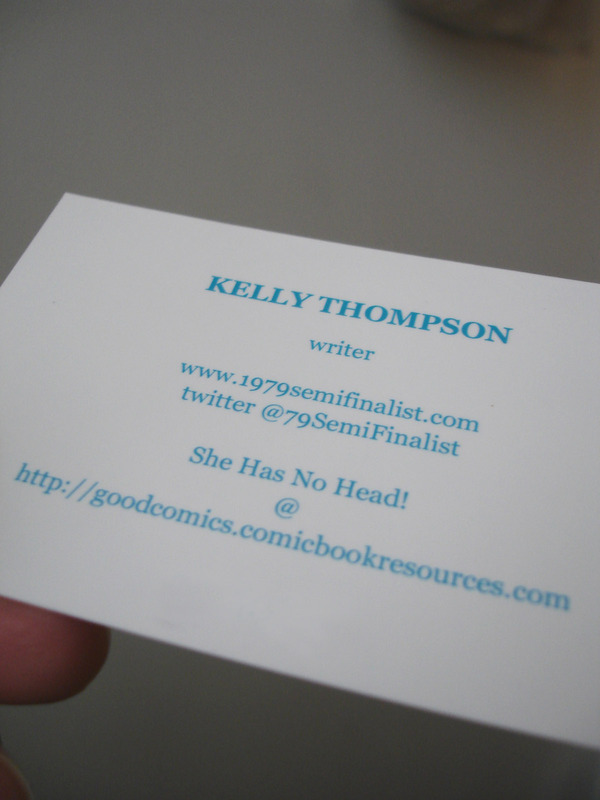 I finally bit the bullet and did some business cards. Nothing too serious, just a fun (read: cheap) card from the good people at MOO with some contact information and a little sketch. Something I could hand out in case I’m ever again in one of those situations where it’s appropriate (and so I don’t have to spend 15 hours creating hand drawn cards like last time). My future business card is a gorgeous letterpress card with a new logo that will cost a fortune and be too valuable to actually give out. Come to momma future business card!